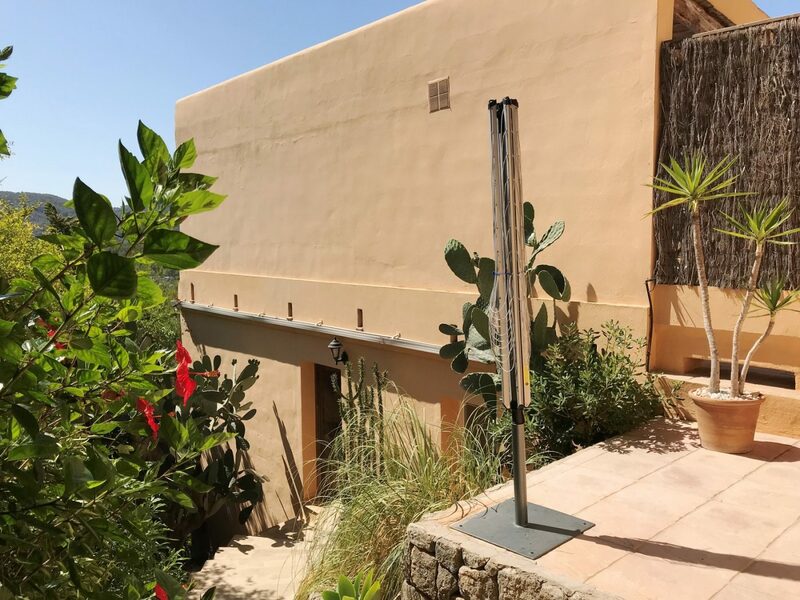 You enter the property from the street level and this opens on to a large open plan living and dining room with a modern kitchen, all of which enjoy lots of light through the large glass sliding doors and great sea views of Dalt Villa and the sea towards Formentera. 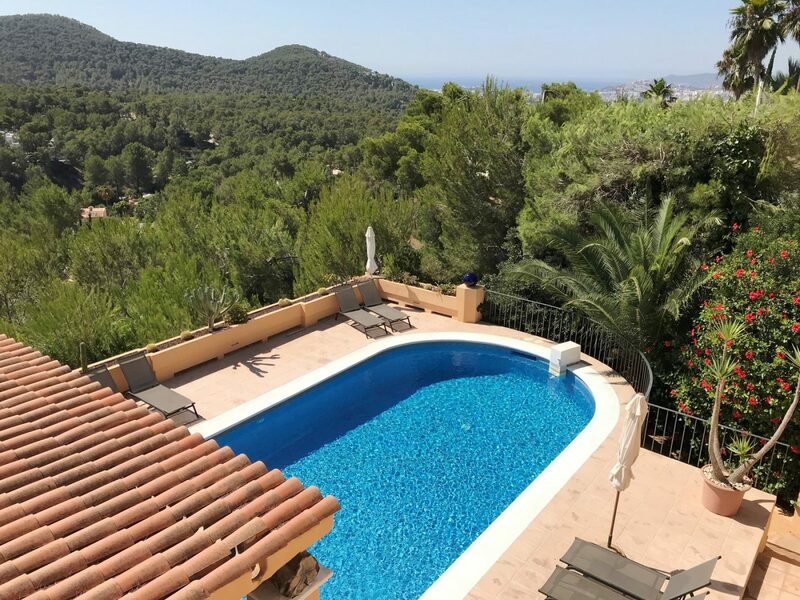 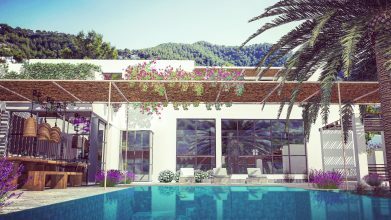 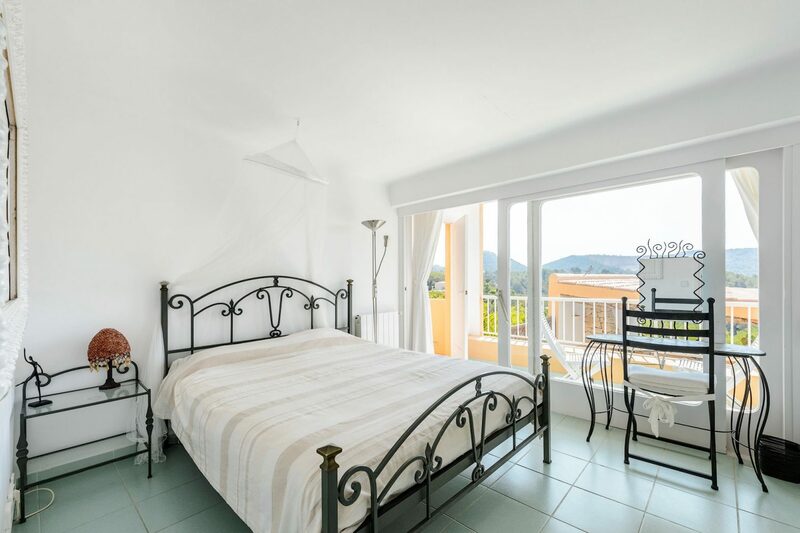 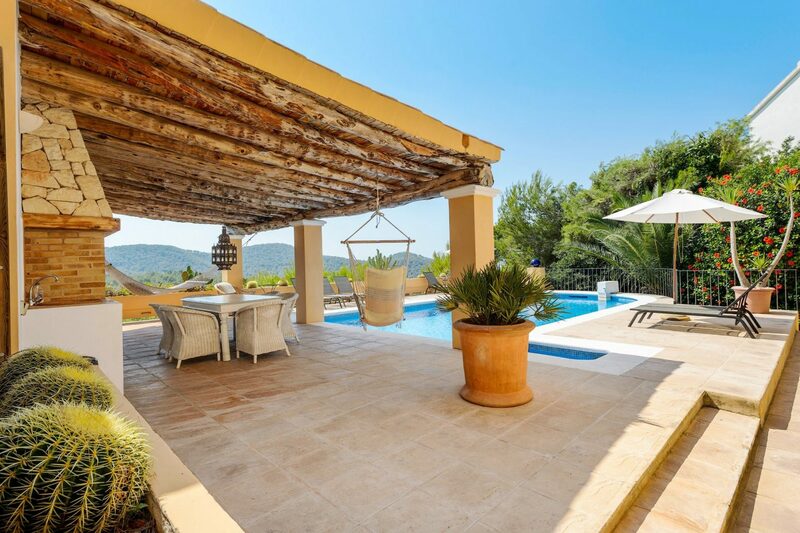 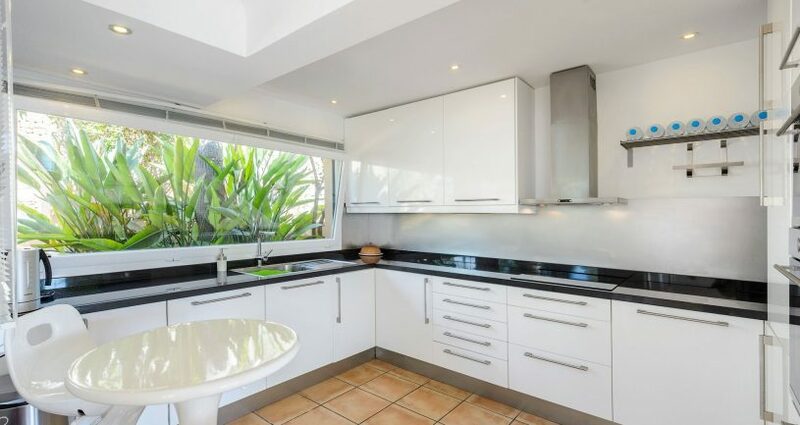 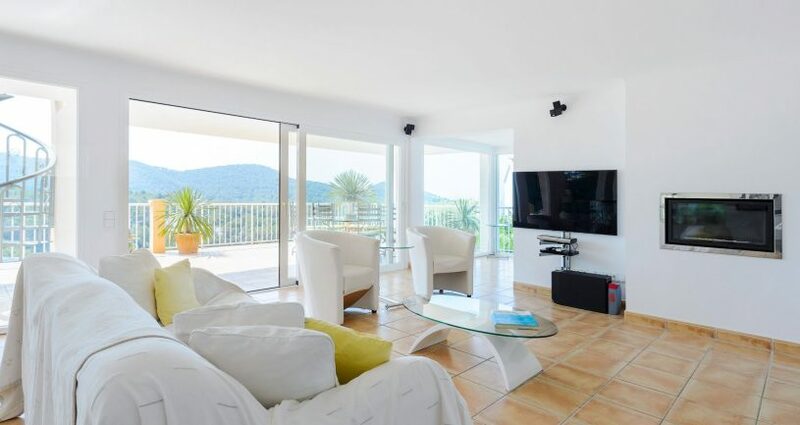 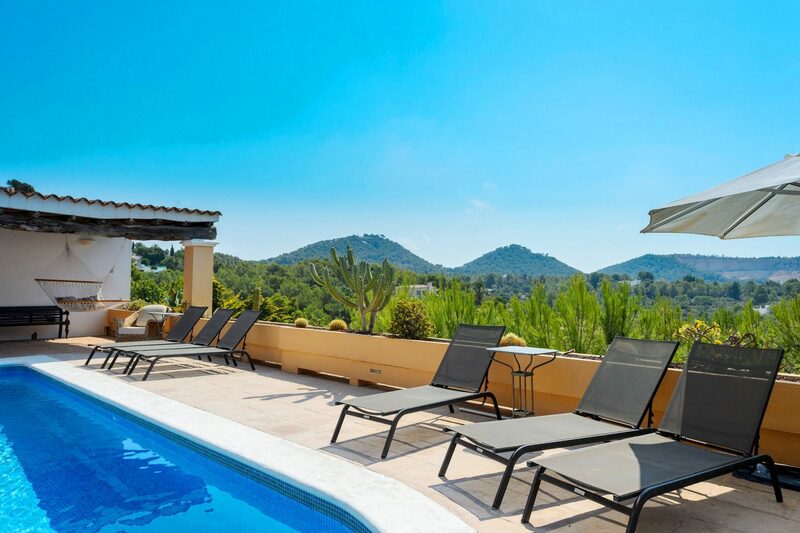 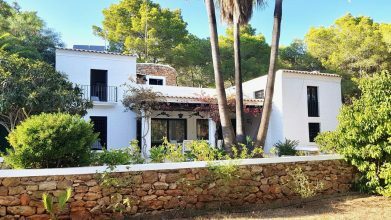 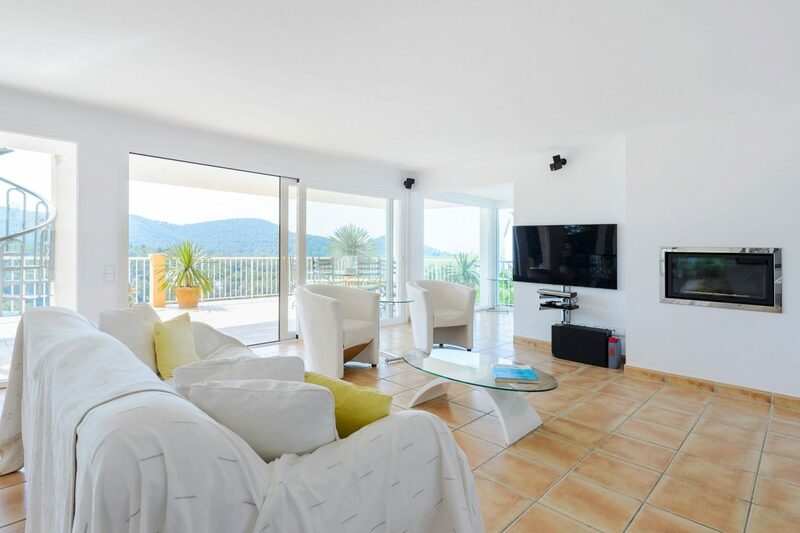 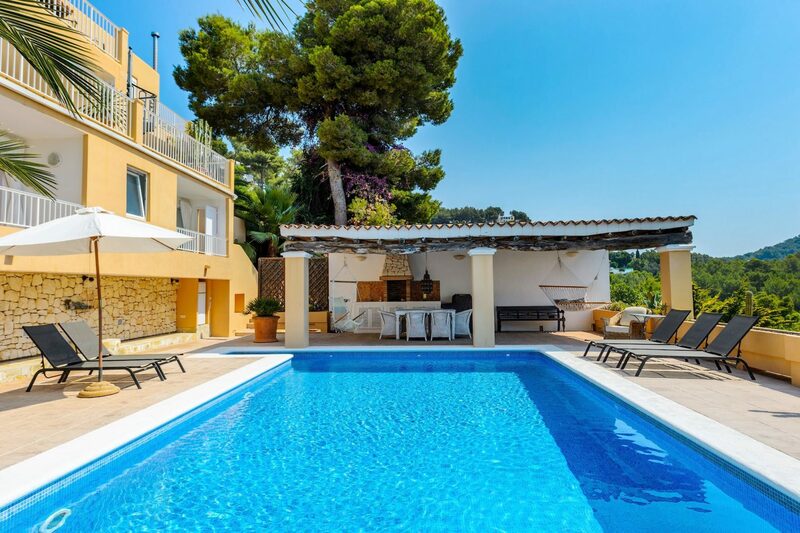 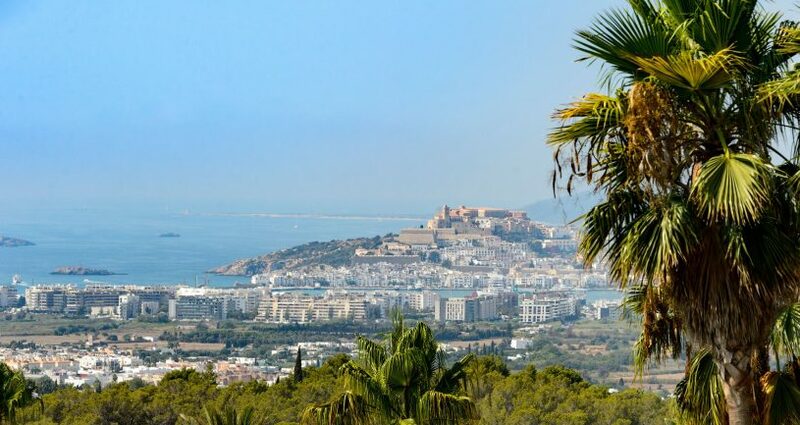 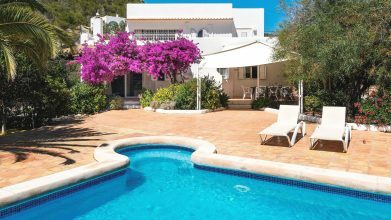 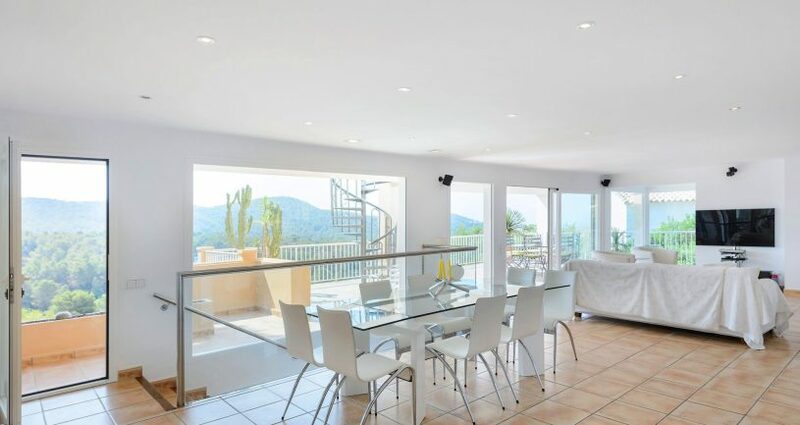 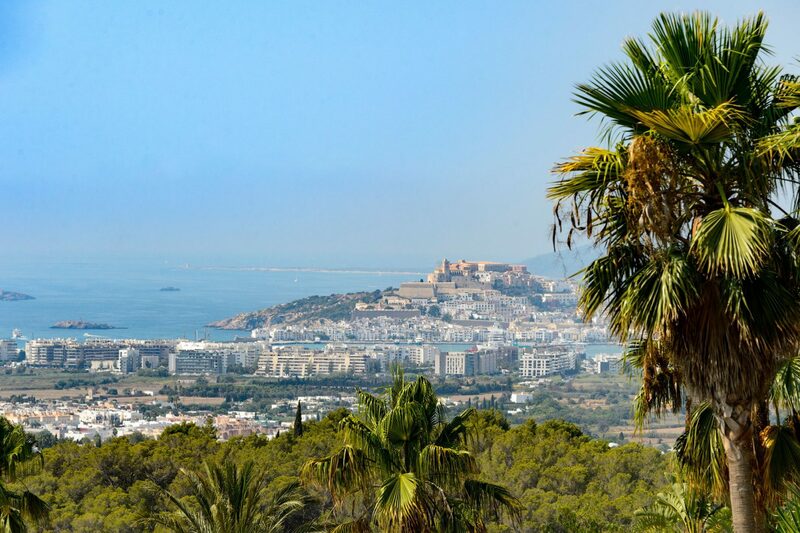 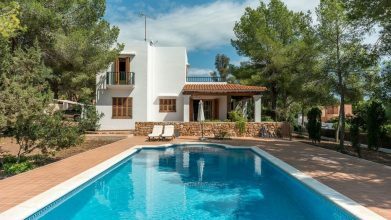 The villa has 361m2 built area on a 925m2 urban plot of land and is only 5 minutes away from the village of Jesús, Talamanca Beach and Ibiza Town. 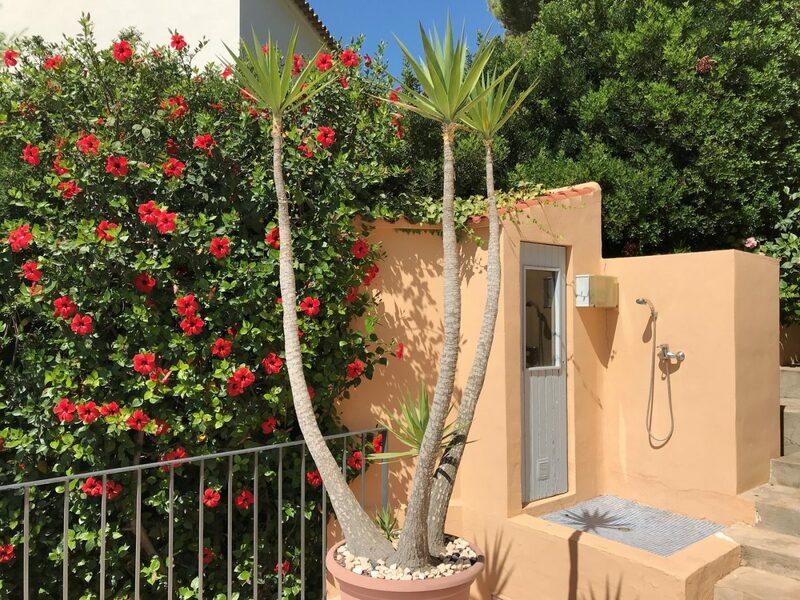 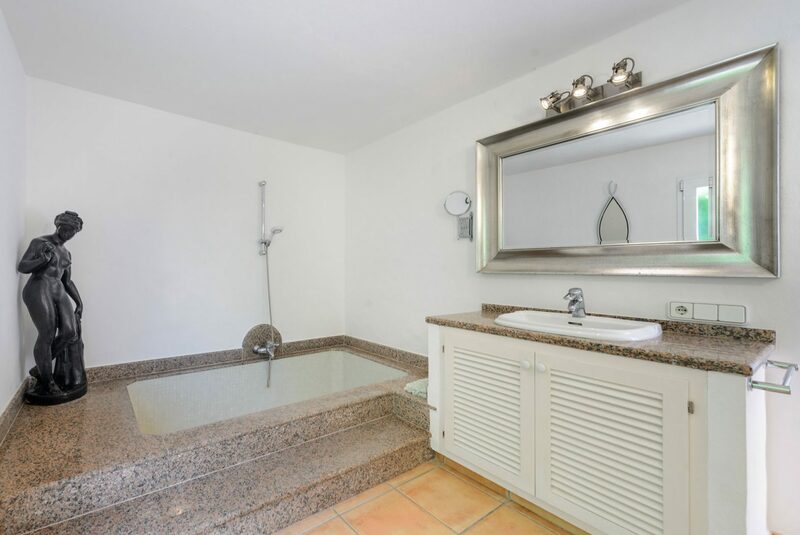 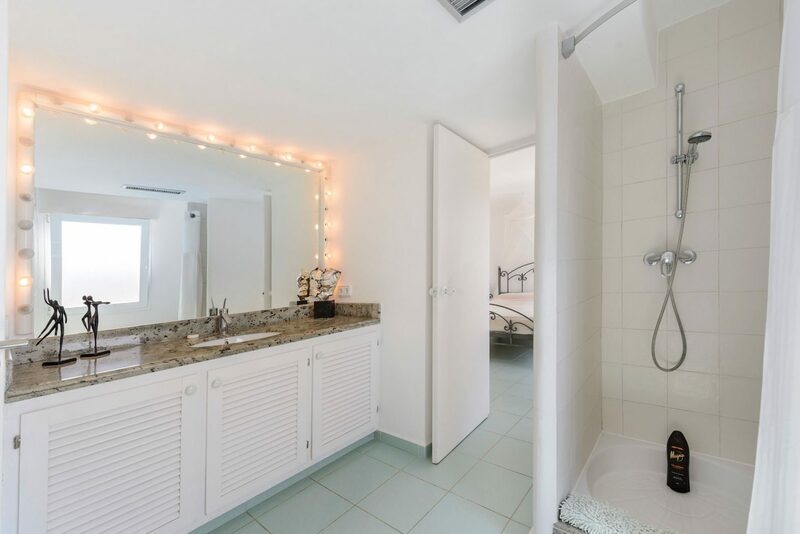 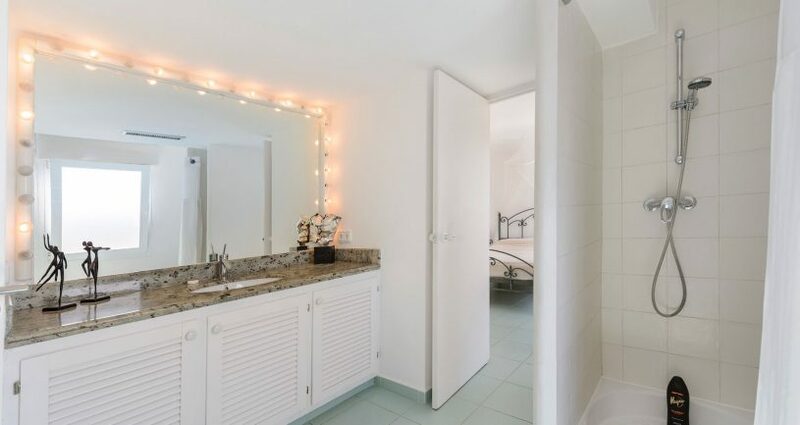 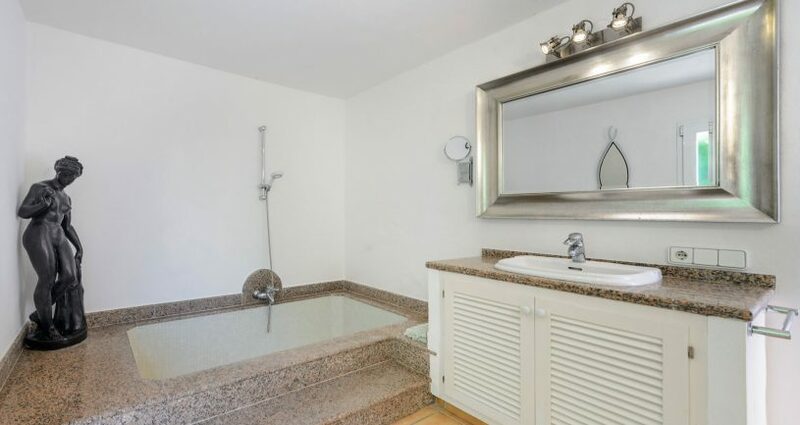 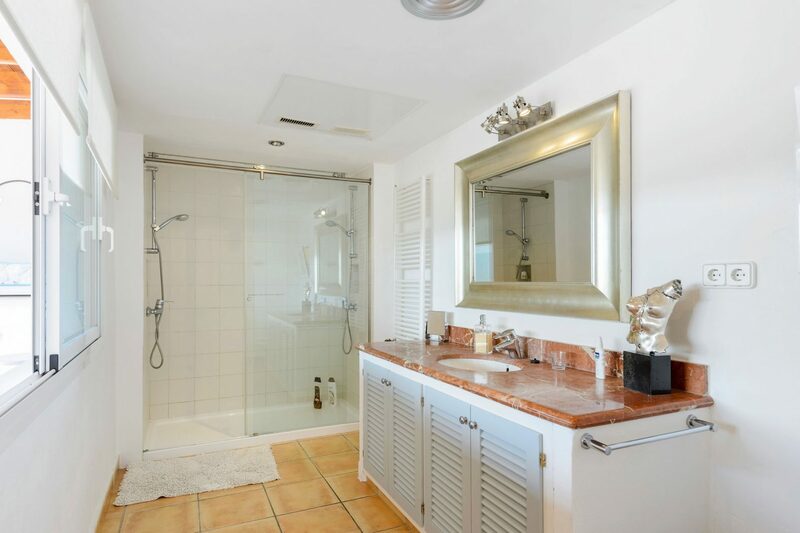 The 2 bedrooms on the lower ground floor each have large bathrooms, one of which is en-suite, and they have sliding doors with private access to the pool area and their own private terrace. 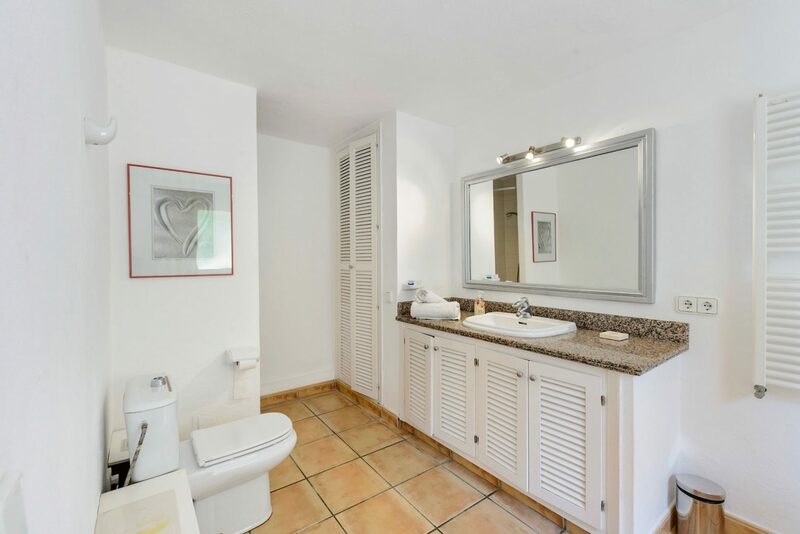 The third en-suite bedroom is independent and is located below the pool terrace area and has access to the pool. 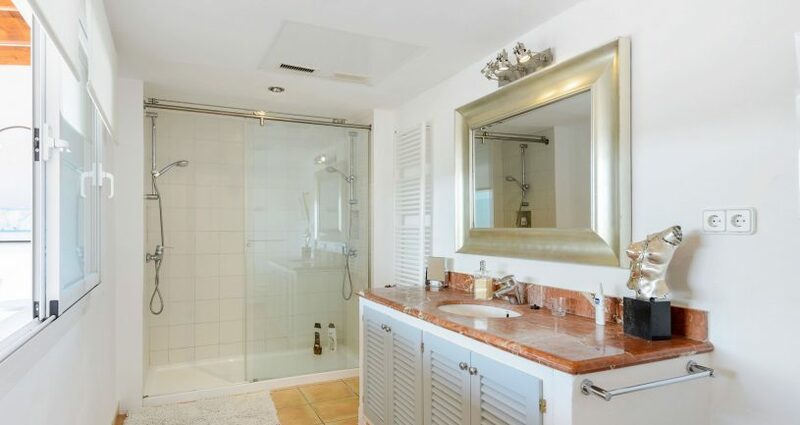 There is an extra room that is currently being used a wine cellar that gives great additional storage space. 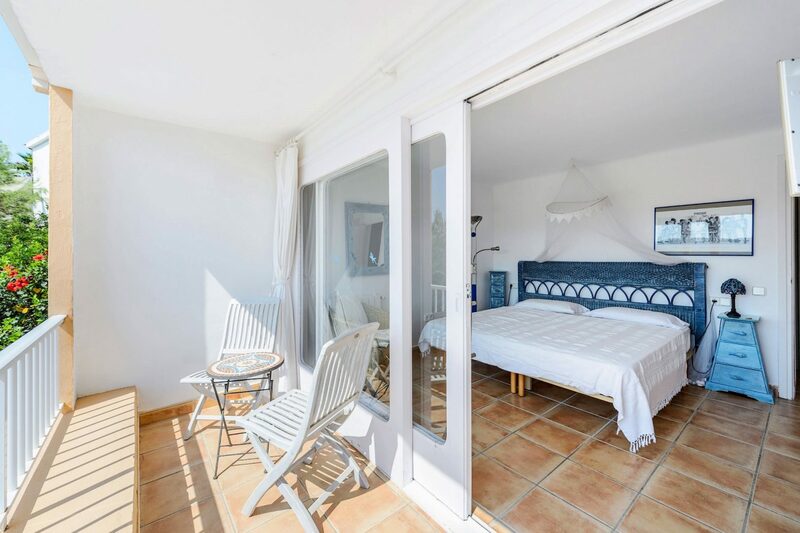 The master bedroom with en-suite is located on the top floor, which is accessed via an open staircase from the main terrace. 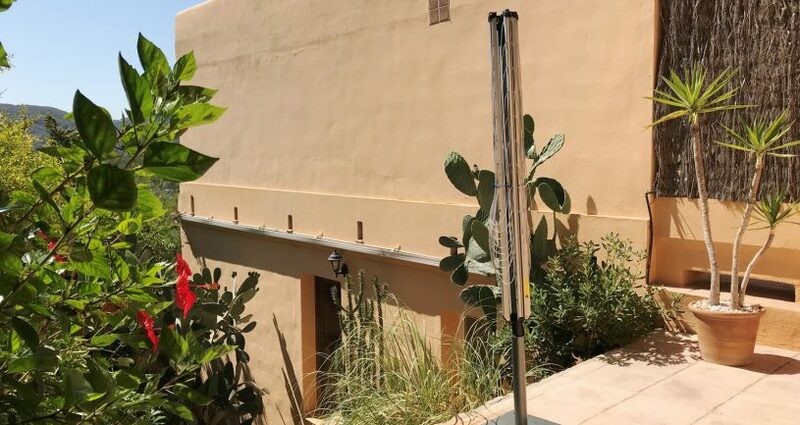 This could be easily connected internally in future. 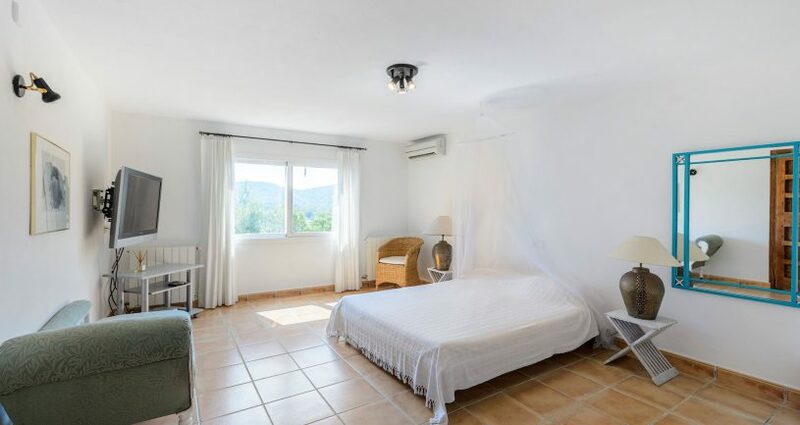 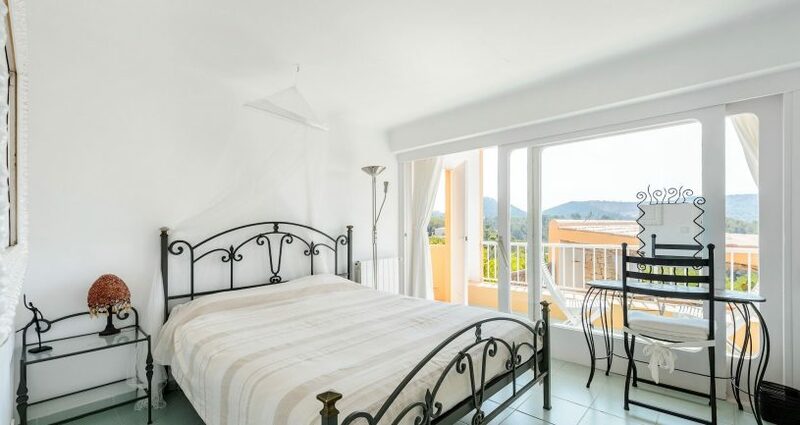 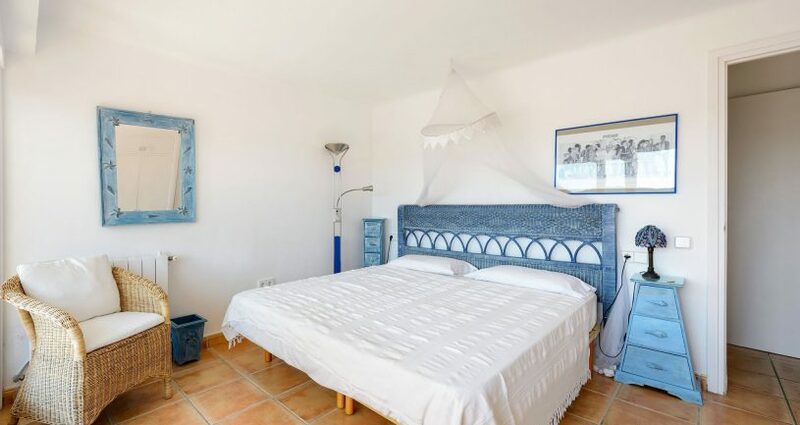 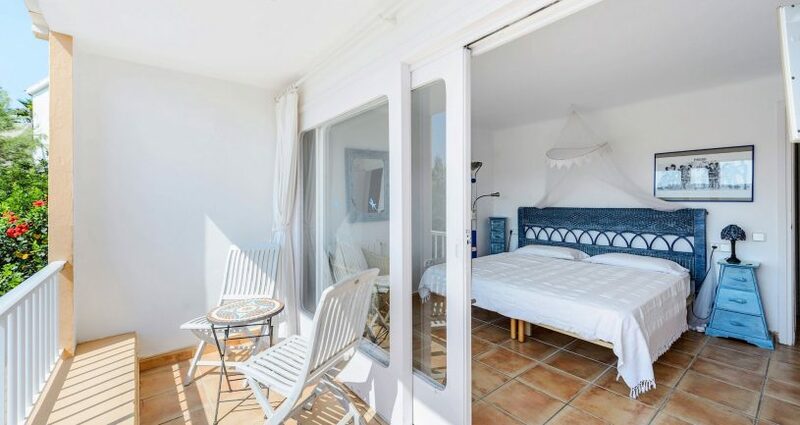 This bedroom also has independent access from the front of the house and could be used independently of the main house or rented as an apartment. 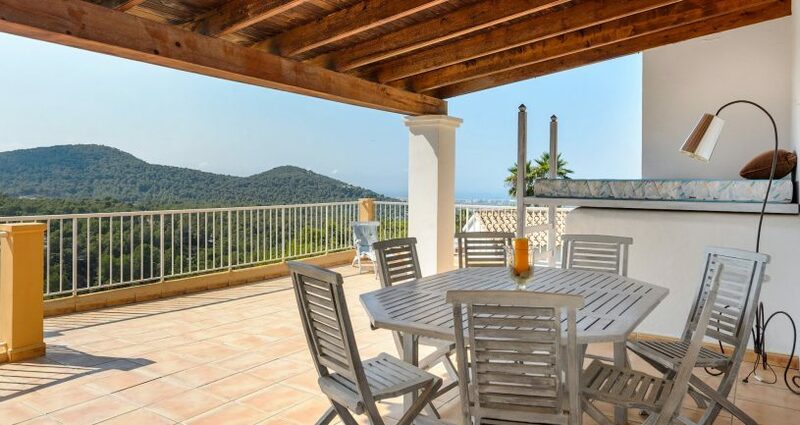 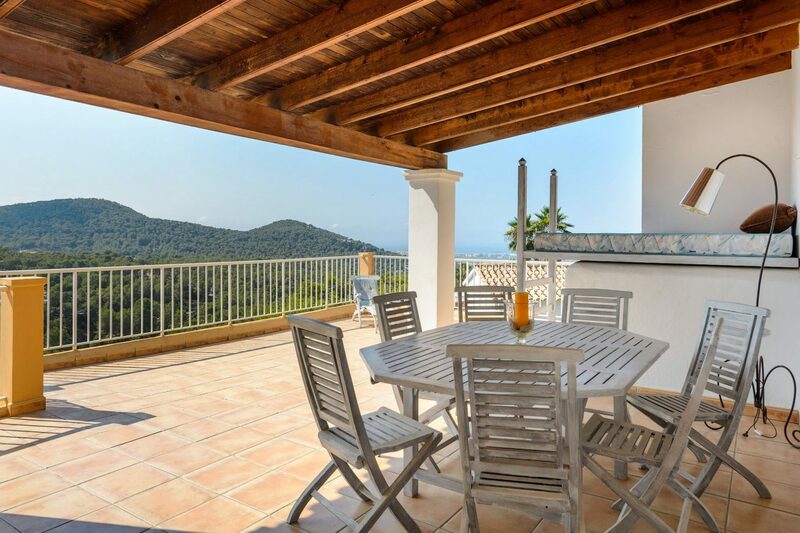 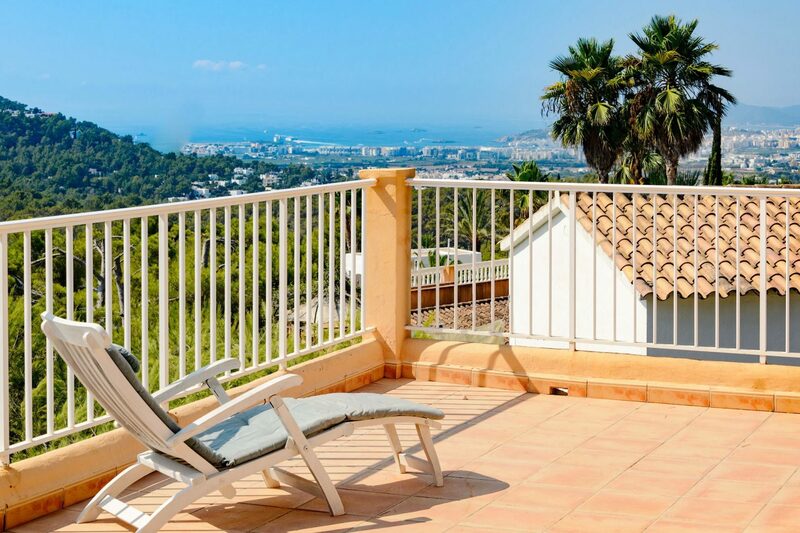 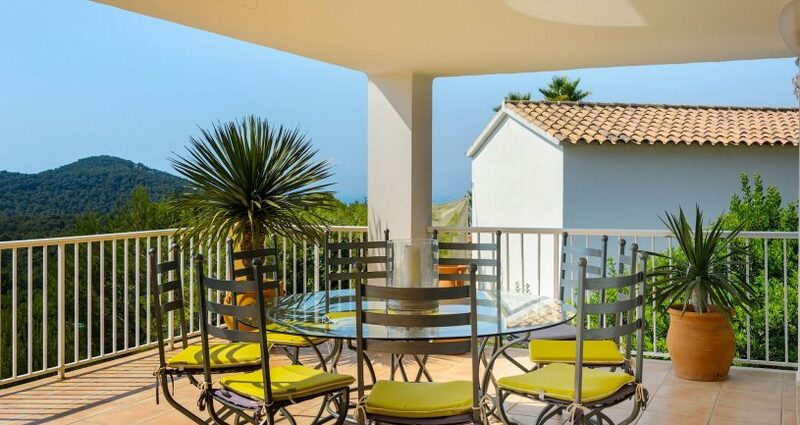 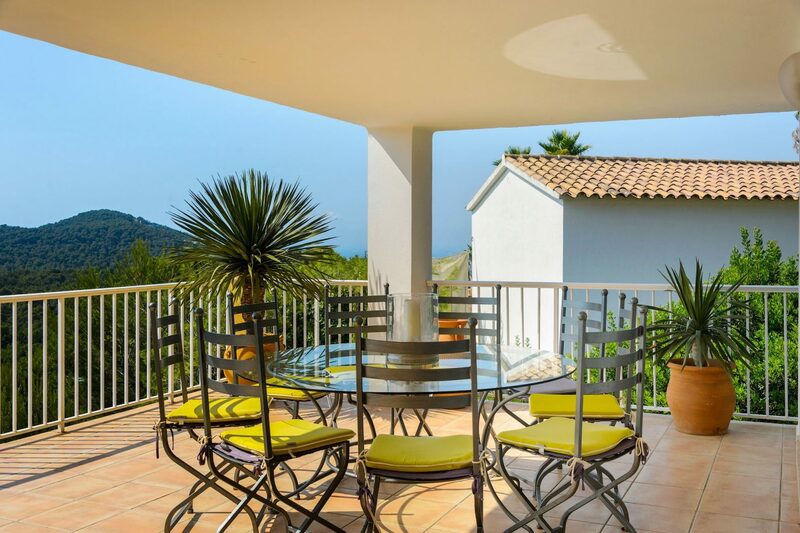 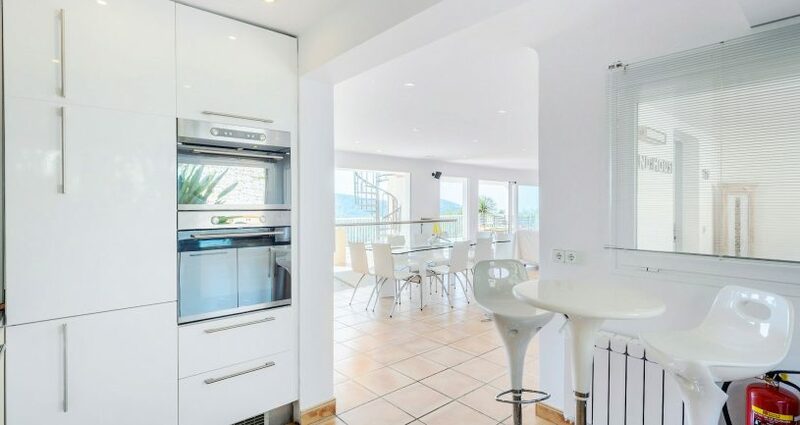 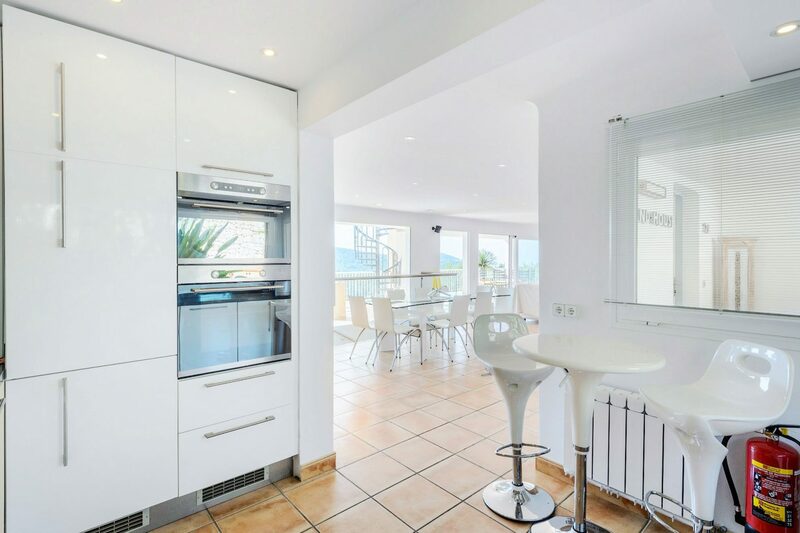 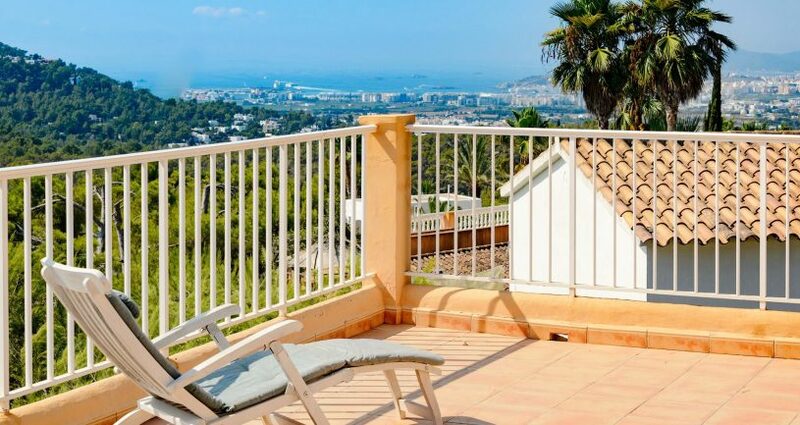 It also enjoys a spacious terrace with fantastic views of the sea and Ibiza town and a covered porch with outside seating. 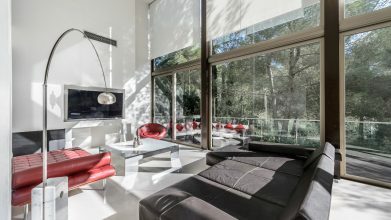 The house is south facing and gets the evening sun and sunset. 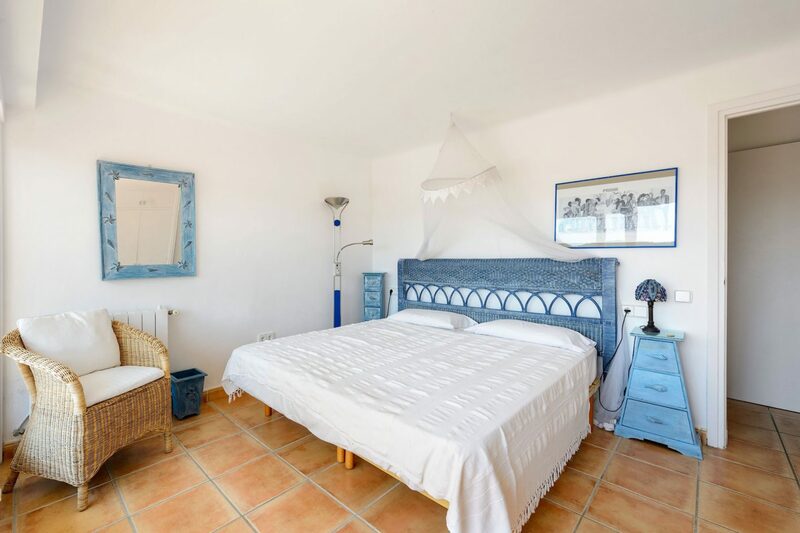 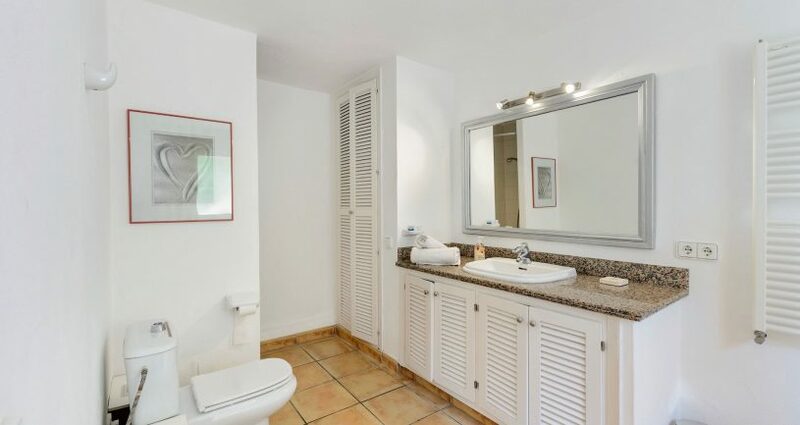 The floors are tiled with caliche stone, has central heating and air conditioning in the bedrooms, and a large terrace with a covered veranda for al fresco dinning. 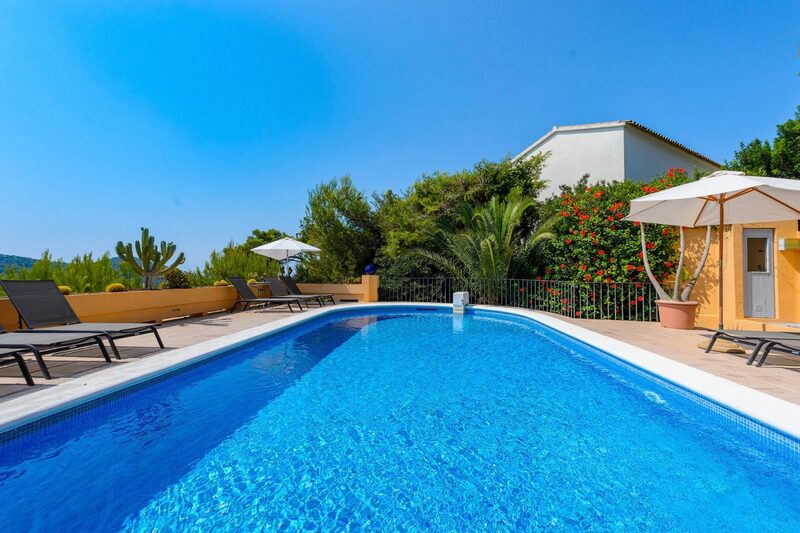 The pool is private and has space for sun loungers. 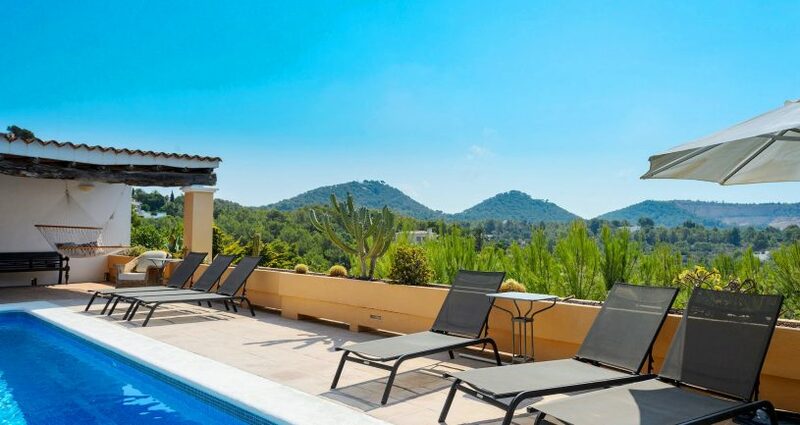 There is a great BBQ area by the pool and also a sauna. 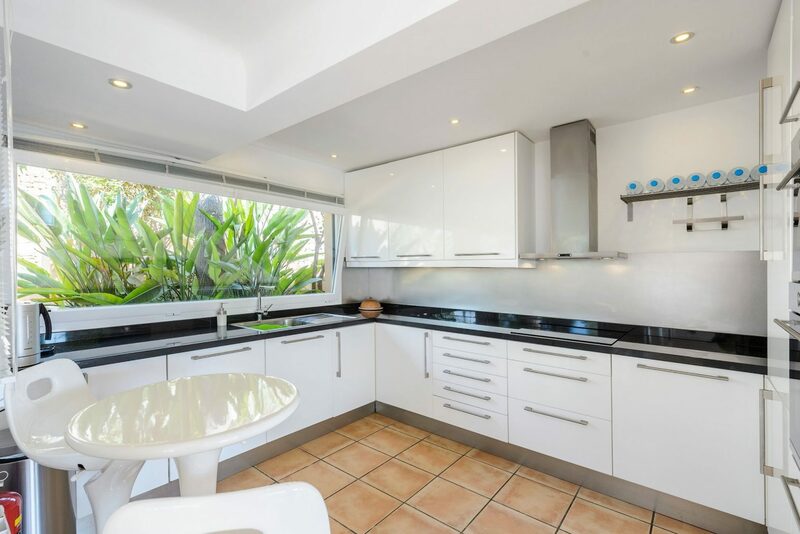 The property has been well looked-after and is ready to move into. 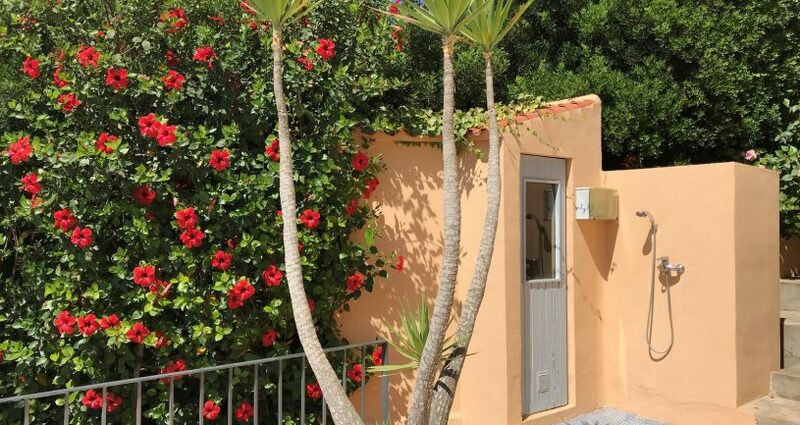 THE PROPERTY HAS THE TOURISM RENTAL LICENCE!